The trip begins Friday night so you can be fully refreshed the next day. Our private coach leaves from in front of The New York Times building on 8th Avenue at 41st Street at 8:00 PM We’ll arrive in Allentown at 10:00 PM and stay the night at the Quality Inn Hotel. After a free continental breakfast, we’ll leave Allentown at 9:00 AM for the Museum of Bus Transportation in Hershey. 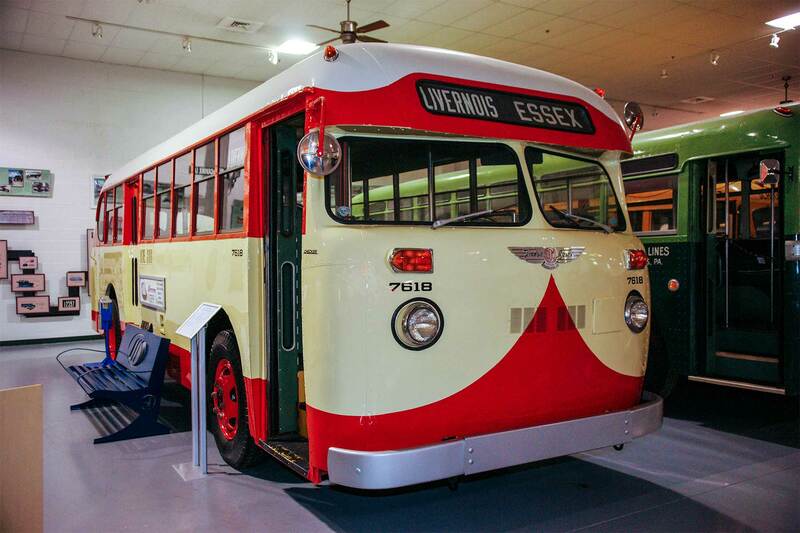 The museum opens its annex once a year to display buses not on exhibit (you’ll ride a shuttle bus from the museum). Afterwards, we’ll travel west to Harrisburg and visit the former Harris Tower, which controlled the main line around Harrisburg Station. The tower is a few blocks from the station and Strawberry Square mall, which has a food court where you can purchase lunch. Ticket prices are based on single or double occupancy at the hotel. Single: $219 by May 18; $230 between May 19 and May 28; $240 after May 28. Double: $172 by May 18; $180 between May 19 and May 28; $195 after May 28. Your reservation is confirmed only with full payment. Cancellation policy: Full refund by May 8; $100 refund from May 19 through May 27. No refund after May 27. For more information, phone Steve Kalka at 516-660-1972 or e-mail trip@nyrre.org. Order your tickets today before the trip is sold out!